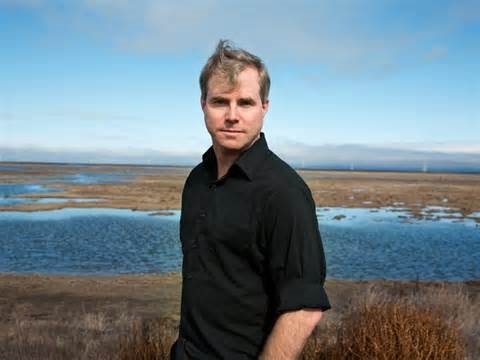 Today, we are BEYOND THRILLED to introduce you to Andy Weir, a computer programmer turned New York Times #1 Bestselling author of The Martian. He joins us to talk about turning his nights-and-weekend hobby into, not just one of the most successful self-published novels of all time, but also a soon-to-be major motion picture directed by Ridley Scott, and starring Matt Damon. The Martian Six days ago, astronaut Mark Watney became one of the first people to walk on Mars. Now, he's sure he'll be the first person to die there. Read the book. Then listen to the audiobook. Then, see the movie! Seriously, so gooooood. The Egg The short story by Andy Weir that first got him noticed online. Theft of Pride The first novel for Andy Weir (under the pen name Jack Sharp), detailing how Shanex Exxel stole the Pride Diamond, Sephalon's national treasure. It's a Sci-Fi story of theft, scams, racism, culture-clash, and money. Packing for Mars Author Mary Roach tackles the strange science of space travel, and the psychology, technology, and politics that go into sending a crew into orbit. Why is it impolite for astronauts to float upside down during conversations? Just how smelly does a spacecraft get after a two week mission? This is a book for grownups who still secretly dream of being astronauts.